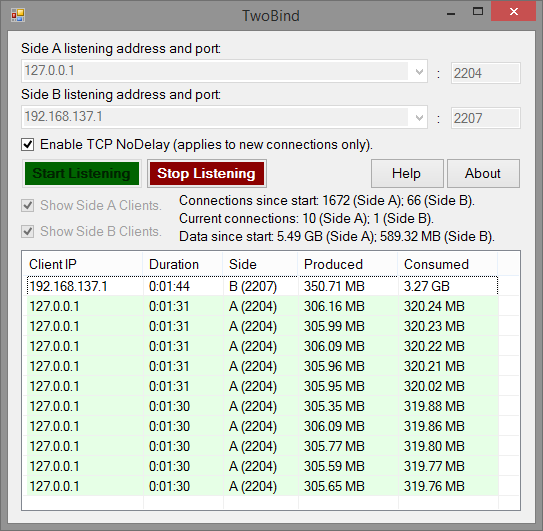 TwoBind is a special-purpose port forwarding tool with a listen-listen (female-female) configuration. 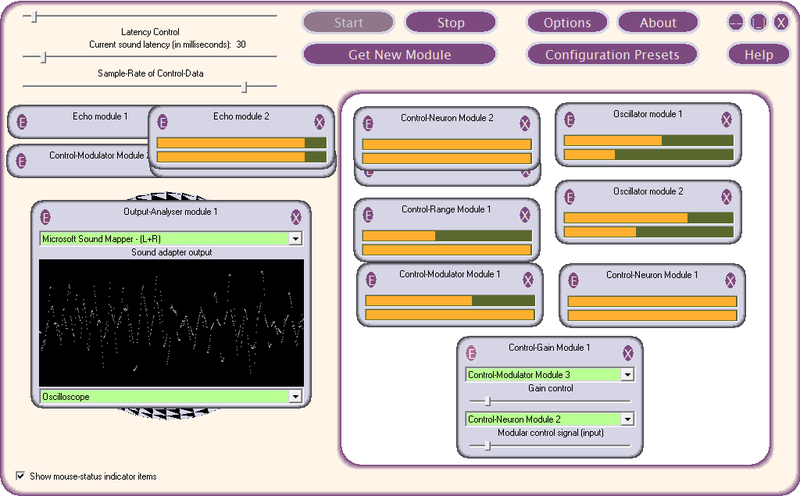 It listens on two chosen TCP ports, Side A and Side B. When data is received by one or more clients of a given side, that data is replicated and forwarded so that every client of the *opposite* side receives a copy. The forwarding is in real-time, without modification or caching. Clients can come and go whenever they please without adversely affecting other clients. In addition to showing data and connection counts for each side, TwoBind also shows a list of currently-connected clients, where each has data counts, and each can be disconnected if necessary. Settings are automatically remembered, so you can get your clients connected in a jiffy. And TwoBind offers a graphical user interface, helping you to avoid the Windows command prompt. How to extract: Download NetworkActiv-TwoBind-v1.1.exe to a folder of your choice and launch.